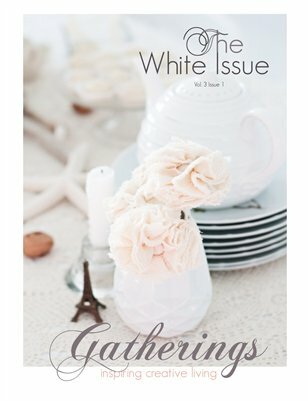 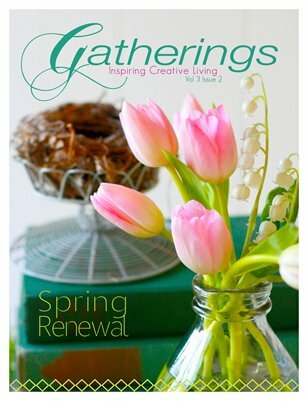 Gatherings Magazine is a collaborative seasonal lifestyle magazine offering beautiful modern romantic inspiration. 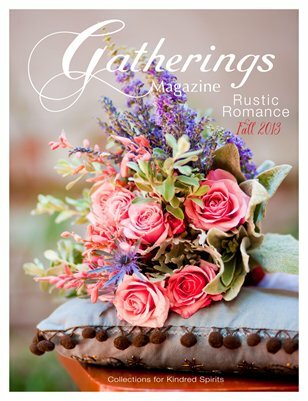 In each issue our creative team of kindred spirits spotlights articles on crafts, food, interiors, vintage collecting, and style with the intent to encourage the heart and delight the senses. 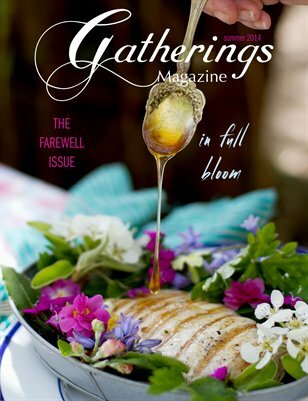 Our Summer issue is titled "In Full Bloom" and pays tribute to the blossoming of all our contributors for our final FAREWELL issue!